Owner Motivated ! please bring Offers!!! Welcome home to this beautiful Parkes of Julington creek plantation home. This home offers a 3-way split bedroom one-story floor plan-built w/almost 2,600SF on a cul-de-sac pond lot! 3 big bdrms plus an office/flex space or bdrm 4 (non-conf. ), plus 3 full baths. Custom architectural details & elegant built ins enhance the interior. Huge screen porch adds to the living. Beautiful built-in's in Dining Room and Great Room. Loads of palm trees and tropical landscaping surround the house. Elegant architectural details include art niches, double-arched room entries, double tray ceiling in Master and more. 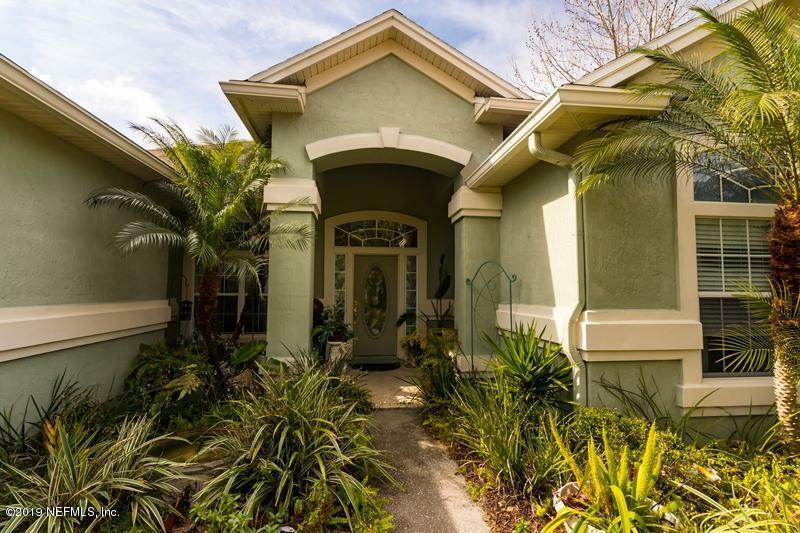 Custom touches throughout.A marina & public boat launch are just over the Julington Creek bridge.